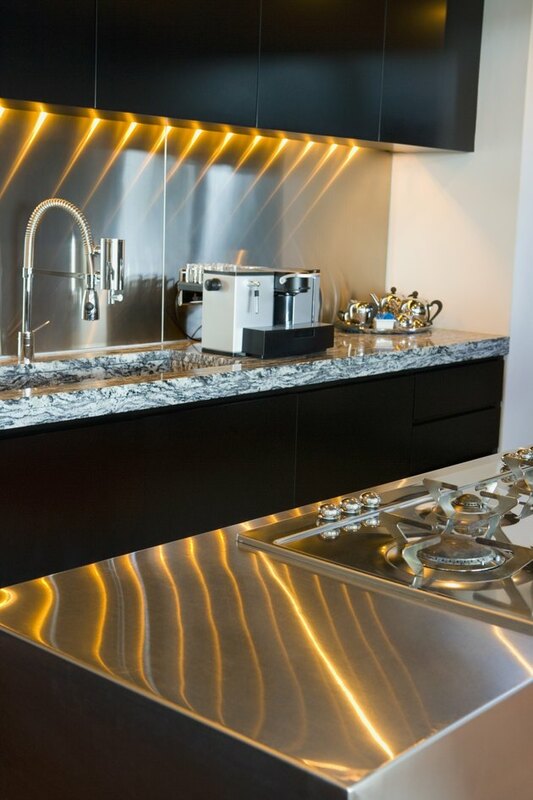 Granite countertops are resilient and beautiful surfaces for a modern kitchen. Adding appliances to match the granite takes into account the hues and shades of the stone. Often stainless steel is the easiest match because it accents most colors. 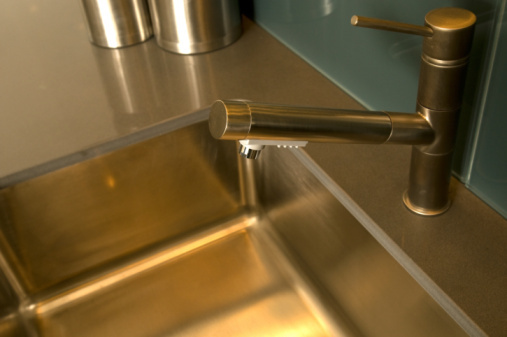 Stainless steel sinks need flexible caulk to seal tightly against granite countertops and prevent moisture from getting under the counter. Flexible caulk helps steel sinks make a tight seal. Clean the granite countertop with rubbing alcohol to remove any residues that might prevent the caulk from making a good seal. Scrape away any old caulk with a single-edged razorblade and clean again with the rubbing alcohol. Trace the outline of the sink on the counter. If you can, lift the sink high enough to fit the tip of the caulking gun under the edge. Press the trigger and form a three-quarter-inch-wide bead of silicone inside the edge where the sink will rest on the counter. Set the sink back in place on top of the caulk, then wipe up any excess with rags. Secure the sink in place with nuts or screws as appropriate for the sink-to-granite connection. Trace the sink again, this time with the silicone caulk, forming a quarter-inch bead. Push the caulk into the gap between the edge of the sink and the countertop with a gloved finger. Wipe up any excess, leaving a smooth application. To prevent smearing, don't go over the caulk more than necessary. Instead, make one continuous, smooth caulking line at a time, working from edge to edge around the sink. Allow the silicone caulk to dry for at least 72 hours before using the sink.